Team Honduras: Take a stand in Pyeongchang 2018 against the dog and cat meat trade! Home / Blog / Team Honduras: Take a stand in Pyeongchang 2018 against the dog and cat meat trade! Let's ask Team Honduras to take a stand and speak out against this shameful trade. You can help by signing and sharing our petition, sending out letters and emails, and raising awareness of this brutal and barbaric practice and calling for an end to the trade by exposing this issue in social media. Click HERE for the Team Honduras Homepage. 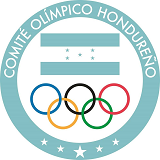 Please sign petition, call, write and email the Honduras Olympic Committee TODAY! Complejo Deportivo J. Simón Azcona Casa Olímpica "Julio C. Villalta" Apartado postal 3143 Tegucigalpa M.D.C.
Comité Olímpico Hondureño: Take a stand in PyeongChang 2018 against the dog and cat meat trade! Comité Olímpico Hondureño: ¡Adopte una postura en PyeongChang 2018 contra el comercio de carne de perro y gato! Please realize this goes against humanity ,these dogs are not food no matter what superstitions you believe in . Superstition is evil, these creators are man’s protectors and you are torturing and murdering man’s friend . Do you understand that what you are doing is bringing curses upon your life and land . Thier blood is crying up to heaven and now God has heard thier cries. . Now the truth has been told to you . God will revenge thier murders. This is barbaric and needs to stop! Dods are mans best friend not food!